The band headed into the studio and emerged with Nicki’s sophomore album, Driftwood (2011), a collection of songs that evoke the AM magic of Linda Ronstadt, the honest charm of Johnny and June Cash’s duets, and the stoney sounds of retro Memphis soul. “Part Karen Carpenter and part Grace Slick, Bluhm’s voice moves effortlessly between softer, country tinged balladry and retro ’60s/’70s rock,” No Depression declared. Since Driftwood’s release, Nicki has performed with her band, as a duo with her husband, as a vocalist for West Coast supergroup Brokedown in Bakersfield, and as the special guest of countless musical legends. She has been called on to share the stage with Chris Robinson, Susan Tedeschi and Derek Trucks, Bob Weir, Phil Lesh, Steve Kimock, Jackie Greene, Pegi Young and Josh Ritter; and has performed on “The Tonight Show with Jay Leno.” Nicki is currently touring and has a new album with Tim called Duets. 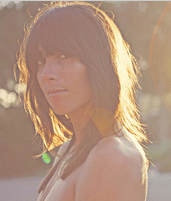 There’s no question that Nicki Bluhm is the “It Girl” of San Francisco’s storied music scene. Luckily for us, the future is looking even brighter for rock’s rising star. More on the band’s website.